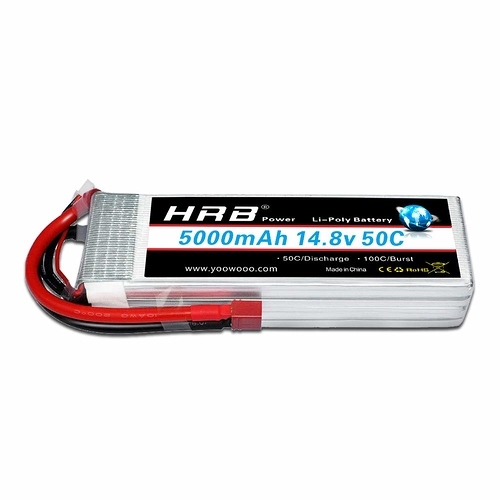 Has anyone bad or good experience with these LiPo batteries 14.8V 4S 50C brand HRB sold by Amazon ? I haven’t seen HRB before, but just in case you don’t know 4S LIPO batteries are over 16 volts when fully charged so you will need some method to reduce down to 13.8v I guess. Cette marque en particulier, je ne connais pas, mai moi j’utilise un 3S, comme ça pas besoin de réduire la tension. C’est très bon bien sur.! 3S, donc normalement 11,1 V . A cette tension là, on ne sort pas grand chose… Du moins, mon QCX ! Quelle tension as-tu le pack bien chargé et quelle est la rapidité de décharge ? où ON7DQ parle de la tension et la batterie 4S qu’il utilise avec son QCX. 11,1 volts c’est le minima, chargé elle est à 12,3 volts normalement. Donc pour le 817 ou le qcx ça doit faire l’affaire. J’ai aussi un QCX 10 Mhz à tester, mais là j’attends les jours plus chauds ! Thanks for the advices. 12.3 V is rather low, isn’t ? I would guess it’s closer to what André says 15-16 V, even more ! See my post in this thread for a picture of what I use as a battery, a charger , and a “voltage reducer” for the KX3. 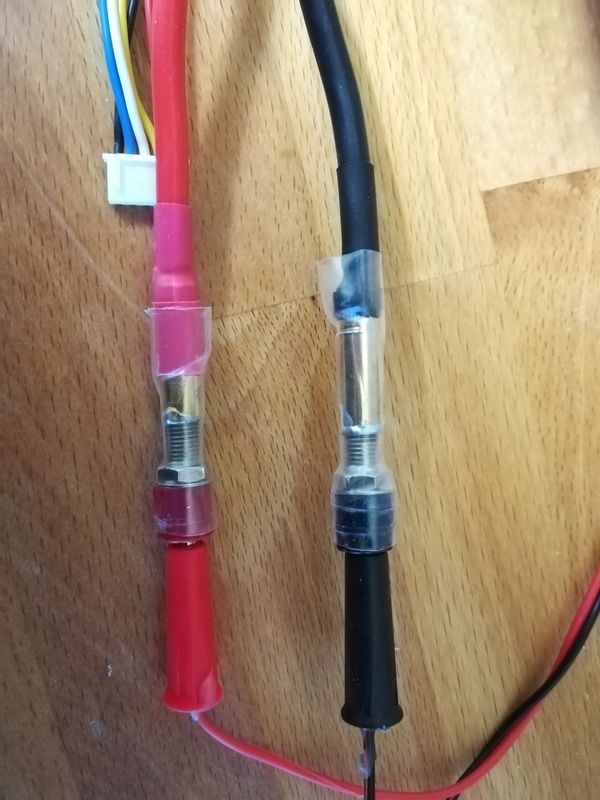 Both my QXC’s (40m and 20m models) are happy with 16.8V. I ordered a 4S1P from Hobbyking. Will see how it works and how i will manage the overvoltage. Not a problem with my actual QCX transceiver. I received my battery pack from HobbyKIng. I bought a Zippy 4200mAh 4S1P. It turned out to be LiFe cells, so the nominal voltage is 3.3 V / cell and not as i thought LiPo with 3.7V/cell. That should solve the overvoltage problem… I don’t know the real difference between both cell types though. They are loading and i hope to test them this week-end. Make sure you charge it with a LiFE charger… the charge characteristics are very different between LiFE and LiPO. I have the famous imax B6 charger. That’s how i discovered that my pack is a LiFe, the charger was detecting only 3S while in entered 4S !! Any difference in daily use for us with these LiFe vs LiPo ? I have been using the same but 3 cell battery for about 9 months now. Normally running my KX2 and amp. I can get multiple activations from it. For charging I use an Amazon generic charger labelled “B3 Pro”. No complaints from me on the battery at all. Is a 3S not too low in voltage ? With my 4S, i have 13.2 V nominal. I’ve done my first loading yesterday evening. I noticed a small voltage difference on one cell. I have 13.5 V and it’s actualy feeding my QCX in RX position (about 110 mA). 3 cell runs about 11.1 volts after about 1 hour running time. Never have had it below 11.0 volts. Will see how mine are working. I’m mostly using banana plugs and i quickly made an adapter for the original 5.5 mm plugs. I put some heat shrink tubing that overlaps the connectors… Just in case i’m crossing Murphy on a summit !! apart of selecting the right number of Cells (4S as in your battery pack) don’t forget to select in your B6 charger that you are using a LiFe batt, not a LiPo type (select this in “User Set” menu). As you see LiFe is a reduced voltage when compared with LiPo.